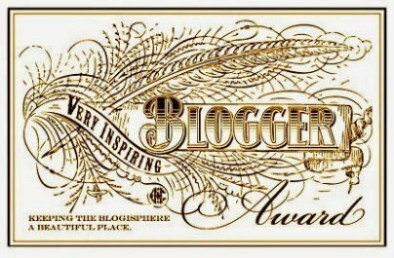 I am humbled and forever grateful to have been nominated for The Beautiful Blogger Award by Writer X at Thoughts from a spare room. The Beautiful Blogger Award recognizes bloggers who connect with their readers in a beautiful style and manner. From personal poetry to short stories, every blogger has a unique manifestation on how they want to connect their words to their viewers. If you wish to accept this award, the following guidelines are below. There is no pressure to accept the award. I find your blog tremendously beautiful in story and in style. Thank the person who nominated you for the award! A warm, hearty, & standing ovation thank you to Writer X for recognizing how “beautiful” my blog is! Add The Beautiful Blogger Award logo to your post and blog. Nominate 7 beautiful bloggers and say a little something about why you love their blog. The list below is no particular order. 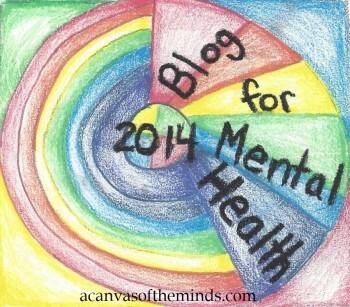 All of the blogs below are very inspiring and I hope they inspire you too. Please check them out and support their story! insightintothemindd – A young woman blogger who I can relate to not only in age but in words as well. She supports my mental health awareness journey and blogs about mental health stigma something that is dear and near to my heart. I love your inspiration. Dog Dharma’s Blog – Written by a human who blogs about their enlightenment and connect with dogs and their trials and adventures. I love this writers honesty. Living Your Wholefullness – I enjoy reading the wonderful and beautiful poetry by Shery Alexander Heinis. Her poetry makes me feel whole and complete afterwards. I love Shery’s wisdom. Bipolar-Reb – This blog is written by a young gentleman who bipolar disorder. He writes openly about his illness and politics to share his stance with other readers. I love Tyler’s openness. The Other Side of Me – A blogger who blogs about her journey through some of her darkest moments in life, something, I, too, can relate. Ally I love the hope you have instilled throughout your blog posts. Just Plain Ol’ Vic – A blogger who blogs openly about his personal experiences. He connects with his readers in a comical yet understanding way. I really do love your humor. Nonsense & Shenanigans – A tremendous and courageous woman who blogs about her battle with mental illness and shares her personal experience with her readers. Tempest Rose, I love your dedication and passion. Again, I thank you all for supporting Phoenix – The Rebirth of My Life and witness as I rise from the burning ashes of my mental illness. Previous PostThe Year of The Suicide Plague : Am I Next?Next PostHome, At Last. Thank you so much for your support and kind words ! I am utterly humbled to be nominated by you. Thank you so much for expressing confidence in what I write. All I can promise is that I will continue to write from the heart, tell it how I see it and offer support to my fellow bloggers! You deserve it. I appreciate honest bloggers as I too blog from the heart too! Congratulations! Super happy for you!! I’ve just started following your blog, but I find it quite inspiring. Congrats on the award; it is well deserved! No problem everyone deserves something and recognition in life. I know we have not spoken, but I would like to let you know about this foundation you may enjoy. Hi thank you I will definitely check out the website. Thank you ! Very much appreciated!